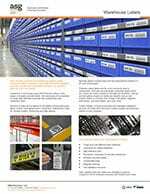 The variations in warehouse labeling are significant, so we will start our discussions with you on a requirement basis. Do you have a predetermined outcome? From these simple questions, our technical sales team will be able to create a proposal which is best for you and the most cost effective option and from this, the tailoring begins. 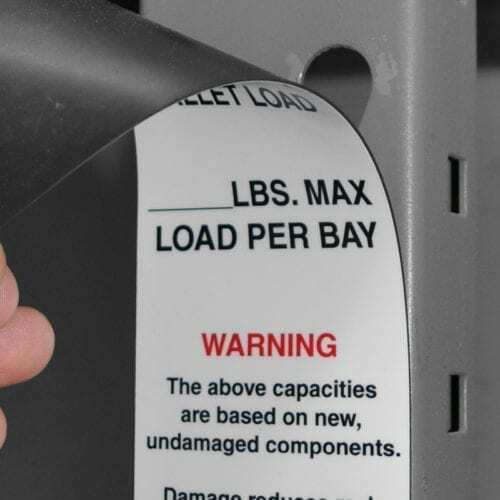 Our experience in warehouse labeling and installations allows us to draw on years of expertise through product design to label layouts on the racks. 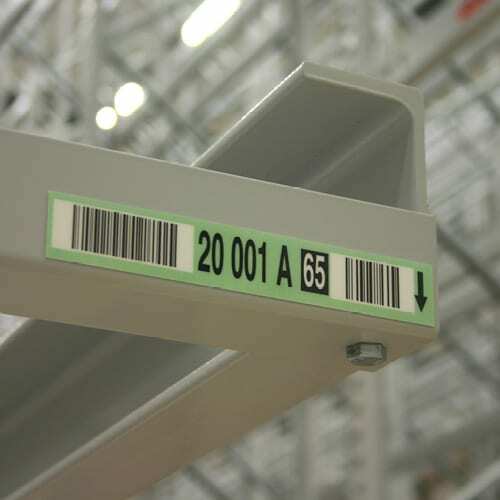 Each type of warehouse label is used for something specific, so we create different layout designs to help the user see the label, to read it clearly and make the barcode easy to scan by the operative and the scanner. Some customers already have preferred label designs, others ask for recommendations. 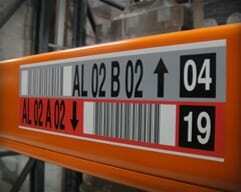 Your labels will be custom designed to you, whichever way it is created. 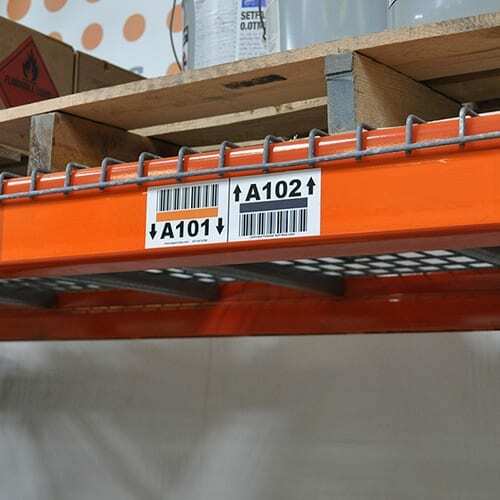 In warehouse labeling projects, the options for label positioning is dependant on customer preferences, the type of rack and shelf used and the budget. We like to offer best practice advice which we know works for the majority of our customers. However we also understand that budget restrictions mean some customers must make allowances, for which we can also help and advice on, with material choices, layout changes, etc. Discussions over the installation phase are also important at this stage to help with production planning and delivery. 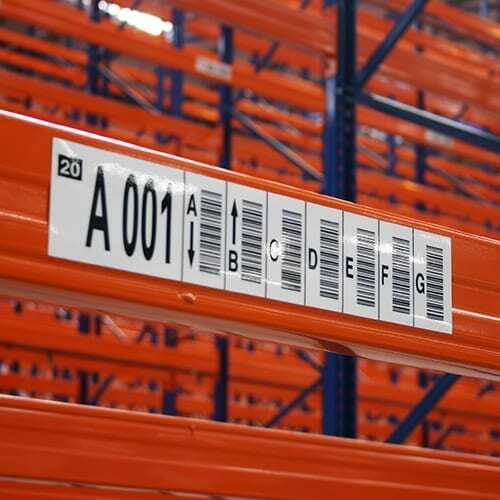 We can give basic advice to customers doing their own, or more in depth discussions if ASG Services is chosen for the warehouse labeling installation. 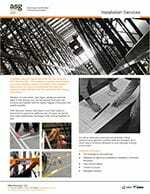 The design and planning stage is where our production and project departments become involved and the full complement of ASG Services capabilities are experienced. Warehouse label designs are put into the proofing stage, where the customer can further alter but also test in practice. Customers may also request actual samples or prototypes so they have something tangible before final sign off. During this process, ASG Services technical team will also, if required, be working on the warehouse labeling location file. Most customers will provide ASG Services with a complete inventory of labels required, while others may need a location file to be created, based on a rack drawing. This is relatively straight forward for our team. 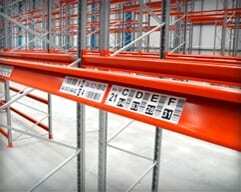 Once all is signed off and cleared for production given, the warehouse labeling project team will also have final discussions with production to determine the sequence and agenda so the labels are run in line with the installation schedule. 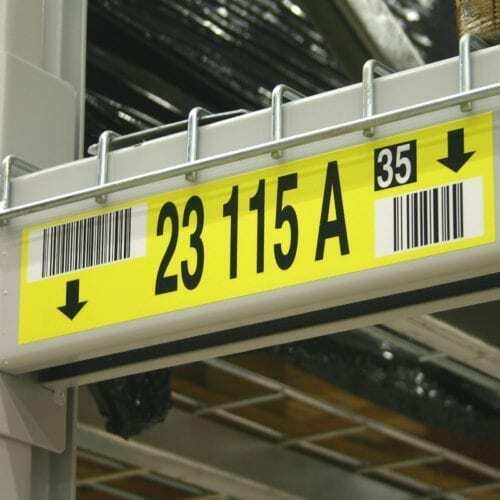 Warehouse labeling installations are run on a per day basis so customers are told of the amount per day which can be achieved, which will fall within in total quoted. Once this schedule is agreed both parties can work in unison to achieve a successful completion. 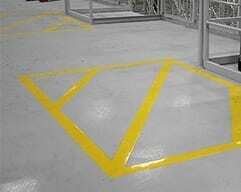 The proposal and planning work which goes into our warehouse labeling projects dictate the proceedings for the installation phase. The project management team hands over all information and products needed, to the installation manager and assistants. with a complete run down of details. On the first day, there is typically a scouting session where the installation team becomes familiar with the site, attend inductions and prepare to start. 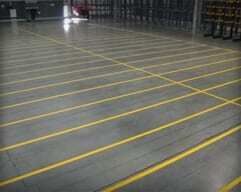 It is during this stage that a final clearance is required from the customer on positioning, start points, etc. During the first and second day, measurements are taken from the warehouse labeling installation and reported back to our head office. 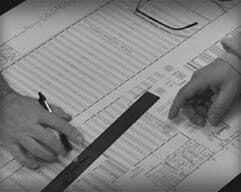 Here the project teams make calculations and checks to ensure all is running to plan. It may occur that the customer was unable to give a pre-agreed area, but the team has made up for this delay elsewhere. 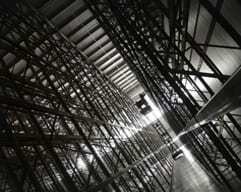 This can be identified and the installation reprogrammed accordingly. 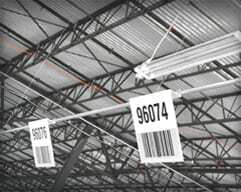 Most communication between the customer and ASG Services during a warehouse labeling installation will be with the installation team. However, the project teams are always in contact and available to address questions or concerns as well as to update on any changes. 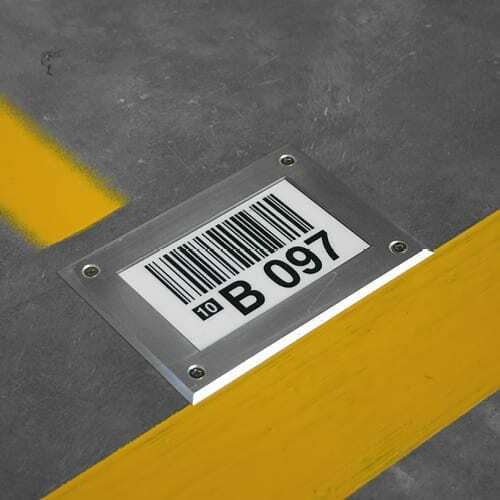 The completion phase often comes earlier than initially planned thanks to the installation team’s and the customer’s relationship and understanding which develops, however it is never taken for granted on warehouse labeling installations. Feel free to call us on (877) 447-9798, and ask us the questions which are preventing you from moving forward, we're happy to help. Send your questions, images, drawings and anything else which will help us to provide the best response possible.